Run your own WordPress blog or website, but don't have the UX/UI expertise to fully customize your design or make your website stand out from the crowd? NRGThemes is here to help! 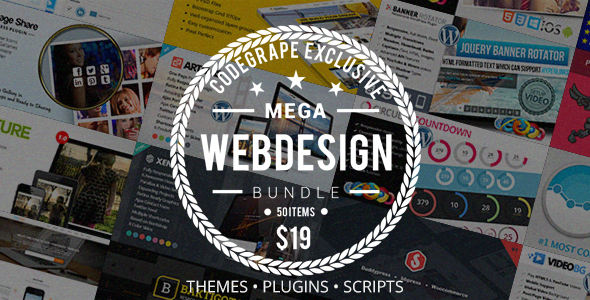 With this specially curated bundle of WordPress Themes, HTML Templates, Premium Flat Icons and PSDs you'll take greater creative control of your business and build beautiful, responsive websites in no time! Want to save time and finish projects faster? 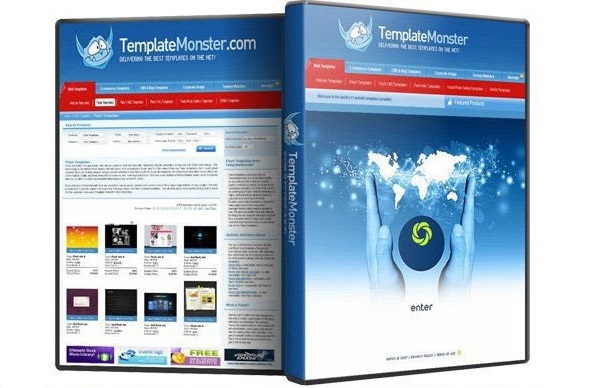 Every web designer has one or two secrets up their sleeve that help them accomplish these goals. And now it's time for you to get your own tools that will speed up your workflow. 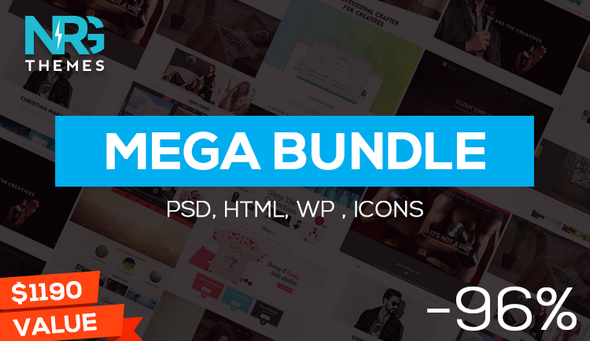 Meet the Mega Web Design Bundle that comes packed full with 17 professional themes, 24 scripts & code and 9 plugins.